As Guantanamo marks 100 days since the start of its hunger strike, RT has taken the opportunity to hear three different sides to the story – among them the prison’s spokesman, a lawyer for the detainees and a UN torture watchdog official. It remains unclear when any concrete steps would be taken to address the prisoners’ grievances, when over half of them have already been declared innocent. The situation continues to be dire with regard to the prisoners’ health, and yet there is still no clarity on just how severe things really are. On top of that, allegations of inhumane and cruel treatment continue. 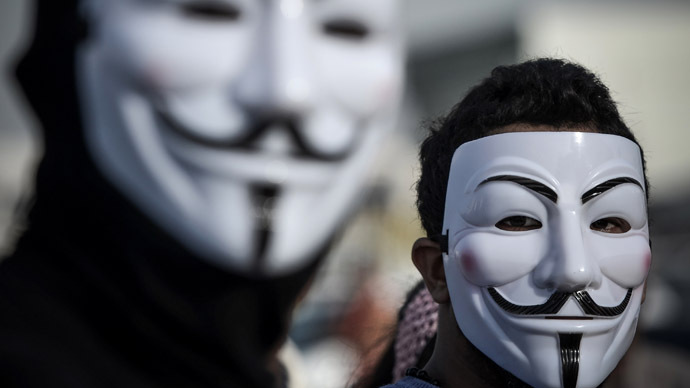 There are also disagreements within the White House, with President Barack Obama having long expressed his desire to shut the prison down (since his presidential victory back in 2008), but alleging that the US Congress is standing in his way. Similarly, former Secretary of State Hillary Clinton was found to have sent a January memo to the White House asking for the start of the transfer of the 86 prisoners that have been cleared for release, but her request was shot down, according to sources speaking to Newsweek. 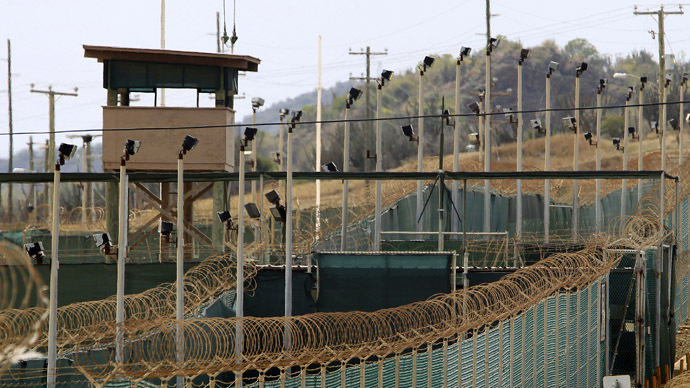 Nonetheless, some semblance of progress on the issue is being made, as US attorney general Eric Holder gave an indication on Capitol Hill on Wednesday that the Obama administration may indeed be readying a transfer of Guantanamo’s Yemeni population, which is a large portion of the 86 prisoners who have been found innocent on lack of evidence. Those prisoner transfers remain one of the biggest reasons for the continuing hunger strike. And yet, there are wildly differing versions as to what actually goes on inside the prison. RT interviewed Guantanamo’s spokesman Robert Durand, who denied any and all allegations leveled at the prison’s authorities by the many lawyers and human rights advocates over the 11 years of its operation. He also described a dilemma the prison has been facing with choosing to view the strike as a group or an individual action, alluding to religious and peer pressure as the main components. Therefore, according to Durand it would be difficult to avoid the duty of sustaining someone’s life under the circumstances. Durand went on to recount the much debated procedures of force-feeding and cavity searches, which he claimed were not as severe and thorough as has been described by opponents of the prison. His bottom line on the issue was that the policy of the United States is to sustain life by lawful means, at all costs. The official maintained that the strike is an entirely drummed-up event and that the real reasons the prisoners have acted are nothing to do with inhuman conditions, but a pursuit of media attention in light of the government’s and media silence on the issue. It remains to be seen if the prisoners will be successful on any of their pleas. And of course, the question of prison conditions hangs in the air, as no one has yet been able to completely ascertain whose version of the story is true and which one is exaggerated. 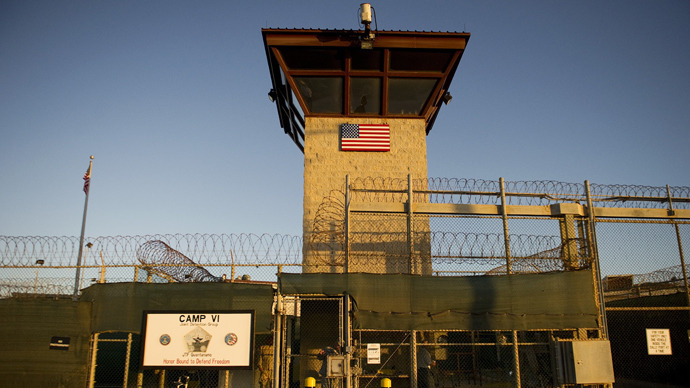 Perhaps the most pertinent point Warner makes in the case against Guantanamo are that a vast majority of its prisoners remain in a state of suspension, without charge, and that to this day there is no evidence to implicate them in anything. Warner points to the strained relationship that exists within the government as well, alluding to the recent news of former Secretary of State Hillary Clinton’s memo that pleads with the government to get the transfers of innocent prisoners underway. But the request was shot down. RT asked Warner if there was any truth to the claims of Guantanamo spokesman Robert Durand about comfortable prison conditions and the “non-invasive” methods they have of getting the prisoners to comply with certain procedures. Warner denied all this, asking us to remember past statements and actions of the prison’s administration. The big question is always whether the military has any real choice in the matter. After all, they have sworn to preserve life at any cost, according to Robert Durand of the prison administration. 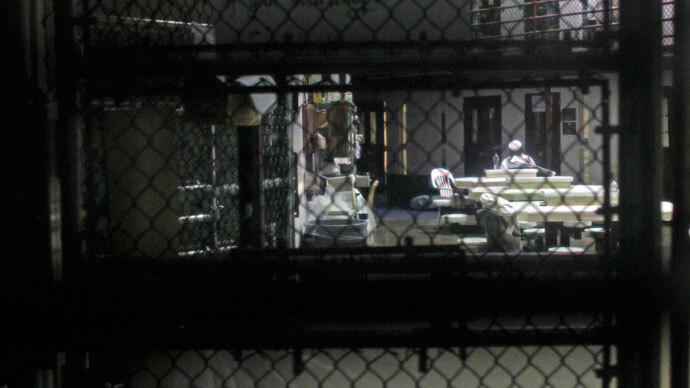 Warner makes a case for the detainees’ actions by asserting that it is firstly a peaceful strike, and explaining that the men imprisoned in Guantanamo simply believe they have no other choice than to either die quietly or not, and they have chosen the latter. And finally, Warner directs attention to the fact that it was the military themselves who had said that the strike was “not a sustainable situation”, which puts in question just how long the Guantanamo ordeal is to last. The prisoners simply cannot survive on the tube-feeding formula. Furthermore, the question of Congress is seen as a non-issue: President Obama does have the power to start prisoner transfers, according to Warner. It is unclear why he hasn’t done so until now. Juan Mendez, UN Special Rapporteur on Torture, told RT that he had been pressing the US government to let him in for inspections. 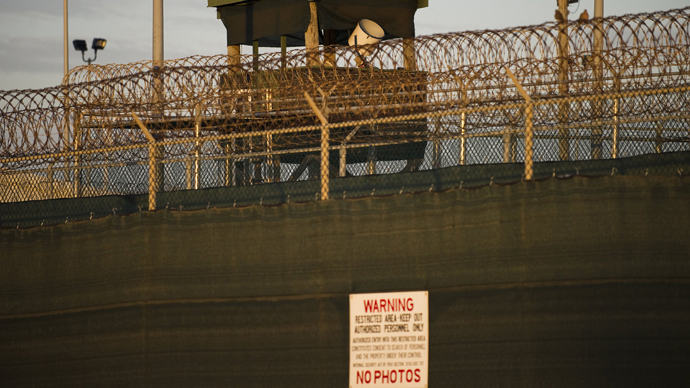 But in the end he simply couldn’t accept the Department of Defense’s invitation, because it was too limited and would prevent him from carrying out his duties to the full – one of them being allowed the unrestricted ability to talk to any prisoner without supervision. Mendez has not backed down and is continuing to insist on a visit to the facility in a way that would satisfy the UN’s concerns for international standards. 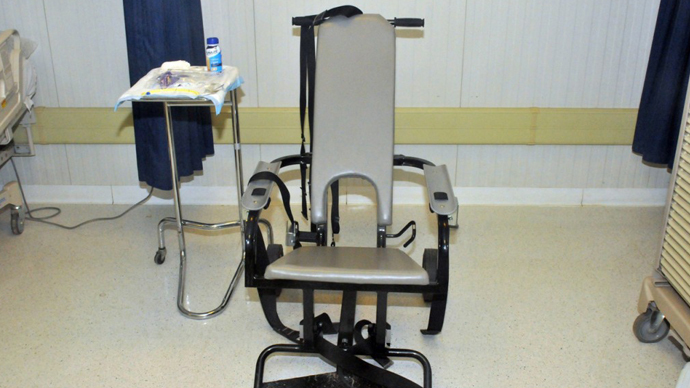 Although Mendez did stress the UN “never said that force-feeding was torture”, he concludes that it amounted to cruel, inhuman and degrading treatment, which is also an offense, and something that requires prompt action on the part of the United States.